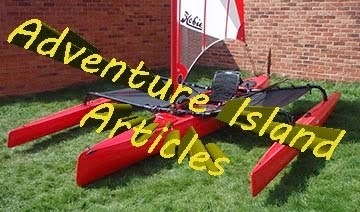 Saltwater kayak fisherman: Thinking about rigging my new 2017 Outback.... what's actually needed? Thinking about rigging my new 2017 Outback.... what's actually needed? 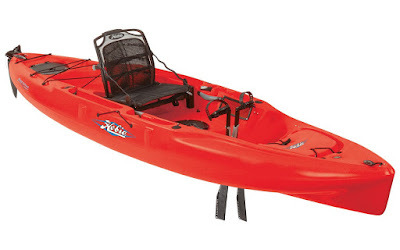 Well the 'old' 2015 loan Hobie Outback is due to depart to a new owner on Saturday with my new replacement 2017 model due to arrive at the Hobie UK dealer the same day. However, I probably won't be able to collect it until later next week so that's provided me with time to consider how I'm going to rig it and what exactly I'm going to have to order. Hopefully it'll look just like this one below when I collect it. This Outback will have to last many years, I'm not going to be in any rush to upgrade to the latest model, etc. Rigging is expensive and time consuming, plus every time I move onto a new kayak I end up losing quite a lot of money on items that can't be removed, items such as track systems, fixed mounts, anchor trolley, hatches, electrical looms, etc. It's also the time required to actually rig the kayak, giving it plenty of thought, as well a taking the time to produce a top notch final product,.. this all takes time. A considerable amount of time! 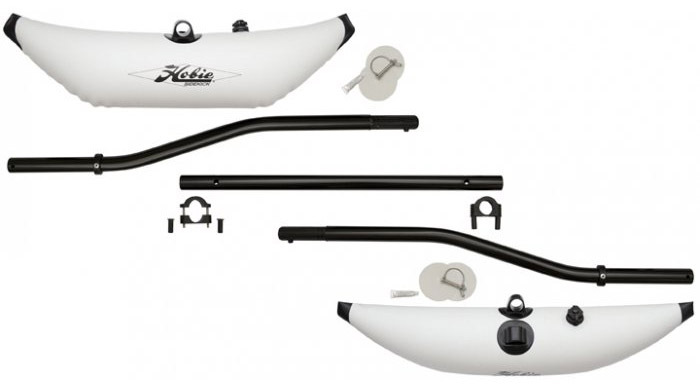 I considered fitting Hobie H-Rails plus the associated accessories, though it just starts to get more complex and more expensive. Plus I was concerned about re-entering the kayak after a capsize, etc. I justed to keep it clean and relatively simple. 1. An anchor trolley. I've previously made my own anchor trolleys on two of my previous kayaks. It's straight forward and not particularly expensive. However, this time I'm planning on fitting a YakAttack LeverLoc system, probably one on either side. 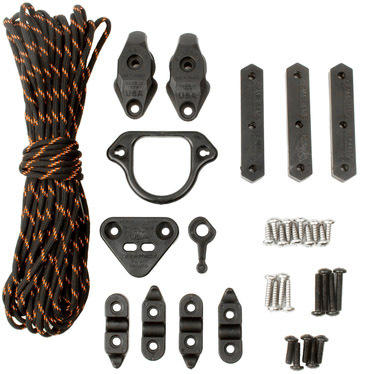 It looks to be a well thought out, innovative, yet simplistic system, made from quality components, Time will tell, my YakAttack order is due to arrive shortly. 2. Rod holders (I'll stick with my trusted RAM tube setup for bait fishing). I've been using RAM RAP-119 rod holders for some time now. 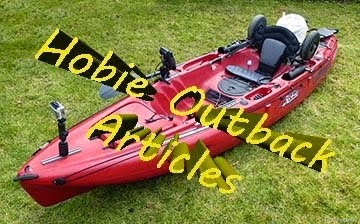 I've modified mine specifically for the Outback and they work well for most applications. 3. Rectangular hatch. Storage space is everything on the kayak for me and the standard round hatch just doesn't cut it. I'll also add the tackle insert as well as an integrated dry bag within the hull to provide a large amount of enclosed dry storage. I've done this previously and it works very well. 4. 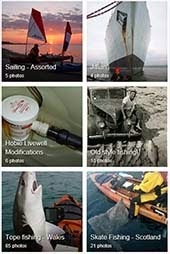 Combination fish finder/GPS. I've watched this technology improve exponentially since I started kayak fishing in 2007, starting out with a Humminbird 565 to my Prowler Big Game. I'm fortunate to be an Ambassador for Lowrance and my most recent setup is an HDS 9 Carbon with TotalScan, This should be a straightforward installation as Hobie kayaks are 'Lowrance ready'. 5. Accessory Mounts. 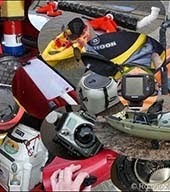 Whether it be rod holders, fish finders, navigation lights, cameras, etc, they all need a way of being mounted to the kayak. I prefer a universal type of system and for this I've been using YakAttack's GearTrac from the beginning. 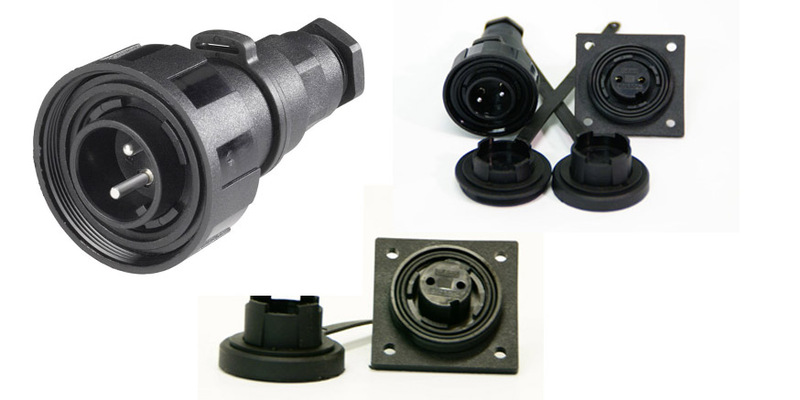 These can accept a variety of fittings and are ideal for mounting a multitude of accessories. The latest 2nd Generation GearTrac is somewhat lighter and will be a new fit for myself. 6. An electrical system. To me this is vitally important, not just because it's require to power up the FF/GPS and navigation light, etc, but it also has be be extremely durable to survive many years in a saltwater environment without failing. 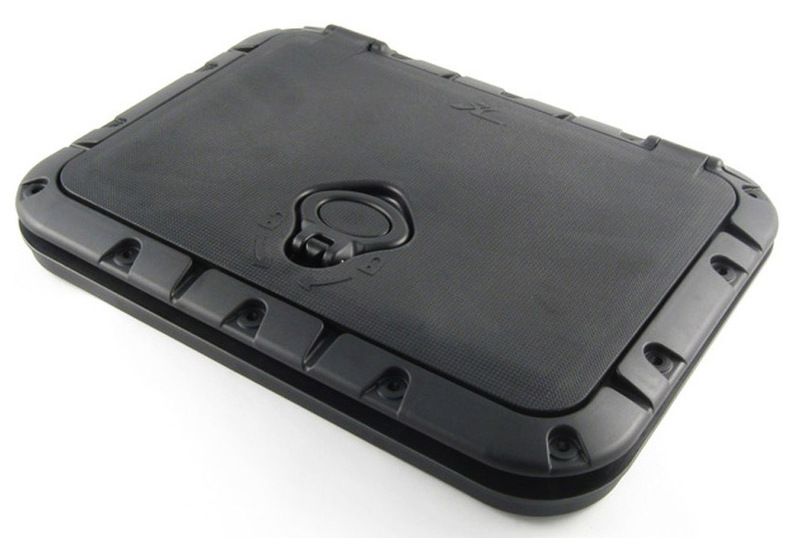 This requires quality components as well as a methodical approach to ensure watertight integrity is maximised. For this I use Bulgin Standard marine connectors. They are very well sealed and feature stainless steel pins and sockets. Looms are covered with heat shrink tubing for durability and ssuitably sealed. This is not a cheap setup, however it's tremendously reliable. 7. Power supply. Over the years I've used SLA batteries to power up my electrics. 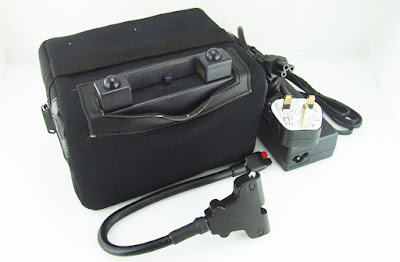 In the early days I could get a couple of sessions out on a 7ah battery if needed. 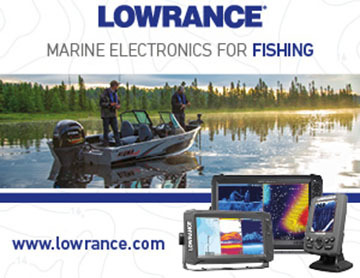 Though with today's large screen combination fish finder/GPS units the power requirements are far higher. 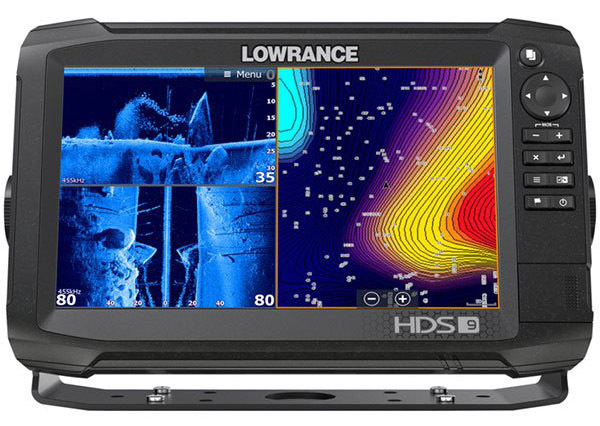 With my latest Lowrance HDS 9 Carbon I was really struggling to get a decent fishing session out of a 12ah battery. Lead acid batteries are bulky and heavy so after much research I've recently moved away from SLA batteries and purchased an LiFePO4 (Lithium Iron Phosphate) battery. Despite being 22ah in capacity, its lighter than a 12ah SLA battery and comparable in size. It's charge from flat to full capacity in 4 hours, that's seriously fast compared to a lead acid battery. This is stored in its own dry bag with a fully waterproof connector within the kayak. That's the 'must have' items for the Outback, though there are other considerations as well. As much as I never got to sail the 2015 Outback, I did sail my first Outback model on quite a few occasions and enjoyed it immensely. To that end I'll rig this new model for sailing from the outset. That'll require the crossbar for the Hobie Sidekicks to be fitted as well as some minor items of hardware towards the front hatch. The tankwell area will be used for my drybox/ Hobie H-Crate or Hobie Livewell as required, nothing new there whatsover, it works, no need to re-invent the well. Visually this new 2017 Outback will look very similar to my current setup, though it'll be mine and that just feels better for a variety of reasons. I think that should do it. It'll take me a good couple of days to get it rigged just how I want it. Time to order up some items so I can crack on with the rigging in a week or so, hopefully the YakAttack items will arrive in good time. I want it to be fishing ready within a fortnight, bring on the fishing! Great blog. 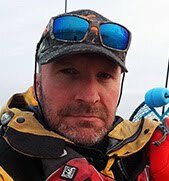 I live in S. Texas, US, about an hour from the coast and have been considering kayak fishing. It is amazing all the rigging required to get setup properly. The ones I've seen here are just the kayaks with no riggings, and I wasn't aware that you could rig a kayak for sailing. Definitely have to check into that more.